A GamesRadar article from two years ago proposes simple solutions to video games. 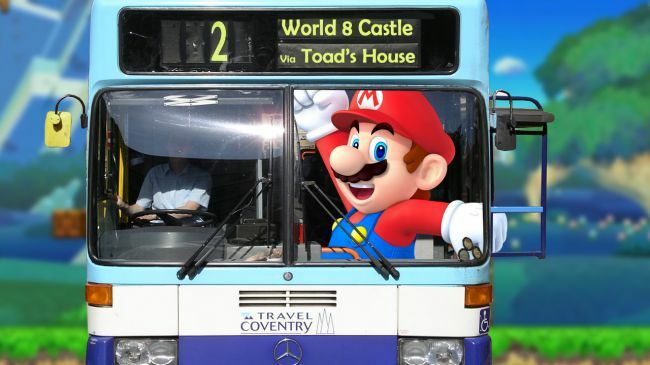 For the two-dimensional Mario games, its advice is to just go around the bad stuff. Of course, that could apply to pretty much any 2-D game, and some of the 3-D ones as well. Why take that one specific path? Speaking of which, was I the only one who wondered why the underground and underwater levels in the original Super Mario Bros. always started with Mario automatically walking into a pipe? What would have happened if he’d just jumped over it? (If you do this by hacking the game, it just scrolls infinitely, but I mean if this option had actually been programmed in.) I know SMB3 would usually get around this by putting a wall in your way, and sometimes you could fly over it with a P-Wing and skip all the actual obstacles. This was also the first game with a map screen, which I thought was really cool, and still do. It does raise the question of why Mario and Luigi have to stay on the marked path, though. Is all the rest of the terrain too treacherous? It doesn’t look like it on the maps. Super Mario World also had the map screen, but it had paths physically appear and the terrain change when you went through exit gates. Those gates are some pretty powerful things. Role-playing games tend to allow open exploration on overworld screens, although even then there are sometimes mountains and rivers in the way, as well as monsters that might still be too difficult to take on at your current level. I have to suspect this makes travel difficult for anyone who isn’t a hero. If someone from Toad Town wants to take a vacation in Seaside Town, are they going to have to jump over pits and dodge giant turtles? 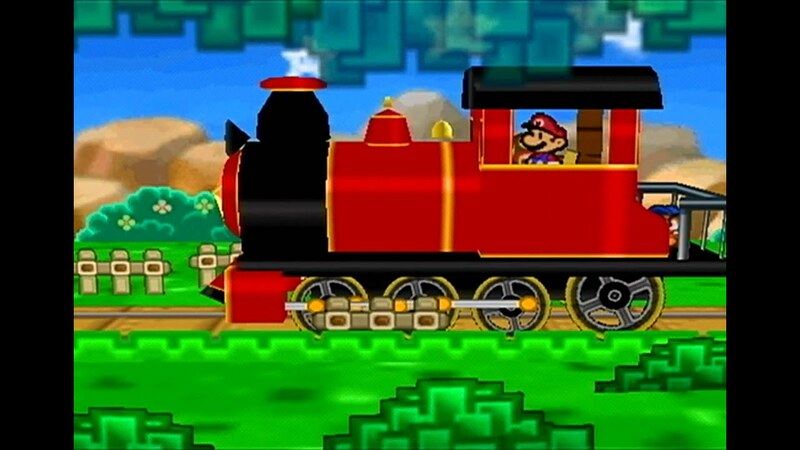 The Mushroom World does have mass transportation, like the railroad in Paper Mario, but Mario never takes it in most of the games. A counter-argument is how, in both Mario games and others, you’ll sometimes find that other characters have reached various locations ahead of you. How exactly do they manage that? 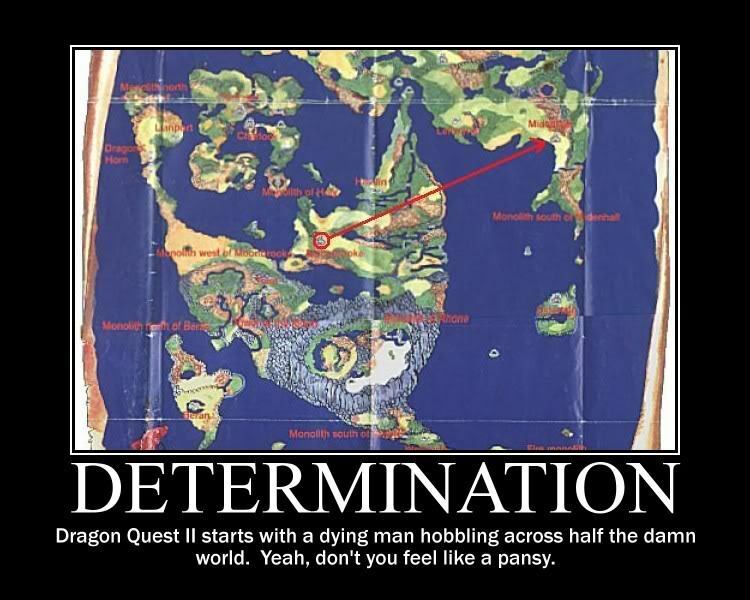 I’ve seen it pointed out how, in the introduction to Dragon Quest II, a dying soldier from Moonbrooke apparently walks, like, halfway across the world map to deliver the news of his kingdom’s destruction to Midenhall. The monsters must have left him alone for some reason. This one bases its layout on Eurasia. I wouldn’t think Sarasaland, a combination of Egypt, China, and some islands, would be located that far north, but I still like it. And this one by Taylor Schmidt does a good job at combining the Super Mario RPG locations with those from other games. Isn’t Sherbet Land adjacent to Kitchen Island, though? Several recent Mario games do include maps, but most of them use the SMB3 model of each world having its own map instead of SMW’s of all of them being connected. Super Mario Advance 4 actually does include a map connecting all of the SMB3 countries, showing most of them separated by ocean. How Mario crosses the water in between them isn’t clear. A later game that DOES have a combined map is New Super Mario Bros. U. 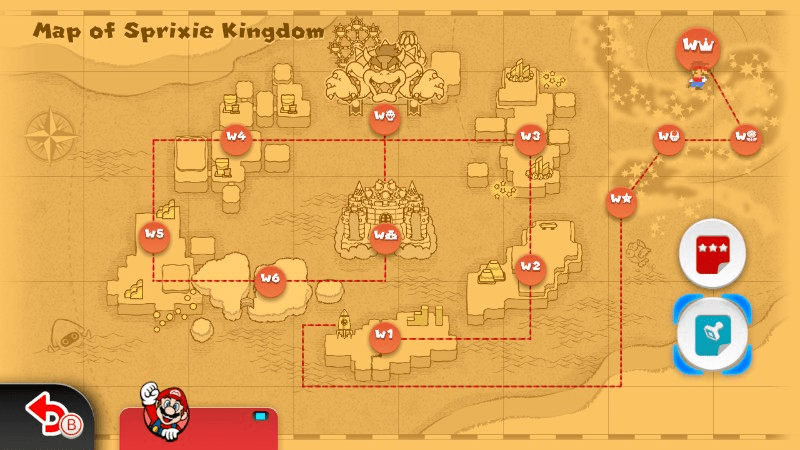 Not only that, but Peach’s castle is clearly located in the upper right corner of the map (it’s the last official world of the game), so we know basically where these places are relative to there. Not that this isn’t somewhat confusing in and of itself, because aren’t most of the SMRPG locations south and west of the castle? Well, maybe the NSMBU places are in that big hole in the middle of the SMRPG map. As with SMW, a lot of these worlds are food-themed: Layer-Cake Desert, Soda Jungle, Rock-Candy Mines. Edible landscapes are nothing new in fantasy, but I have to wonder if anyone would really want to eat from, say, a giant cake that people have walked on. There are a lot of recurring geographical features in the worlds of various Mario games: grassland, desert, sea, sky, ice and snow, forest, jungle, mountains, magma pits. Games with the Koopalings often have each one tend to prefer a certain type of area, like Lemmy in the cold regions and Wendy on islands; but even that isn’t always consistent. I suppose some of them could be the same regions that appeared in earlier games, just different parts of them. 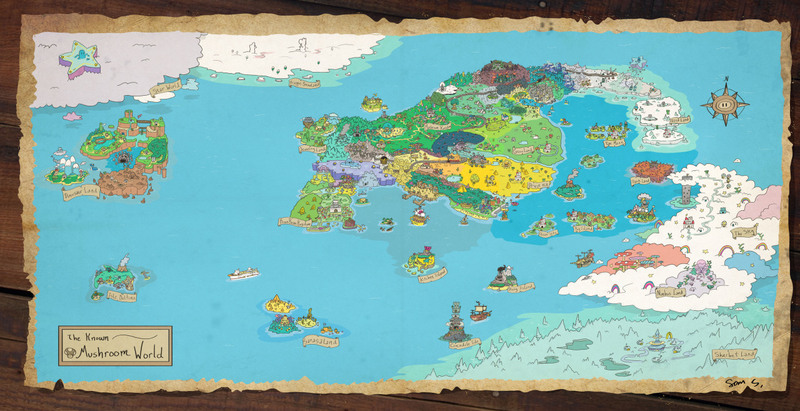 There is a map of the Sprixie Kingdom from Super Mario 3D World, but since it’s accessed through a warp pipe, we don’t really know where it is relative to anything else. 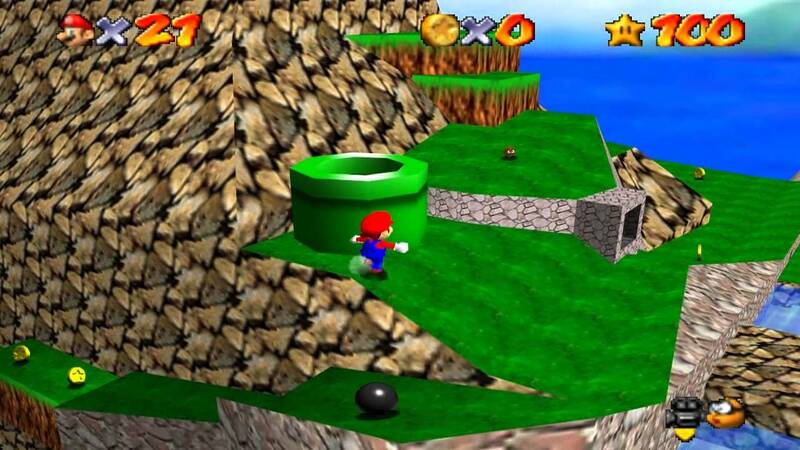 There’s also the question of whether the levels in Super Mario 64 are located entirely within the paintings, or the paintings just serve as magic portals to wherever they actually are. Again, there’s no particular way to know where any of these places would be, but there might be some hints as far as climate and the like. Tiny-Huge Island is probably near Giant Land from SMB3, for instance. 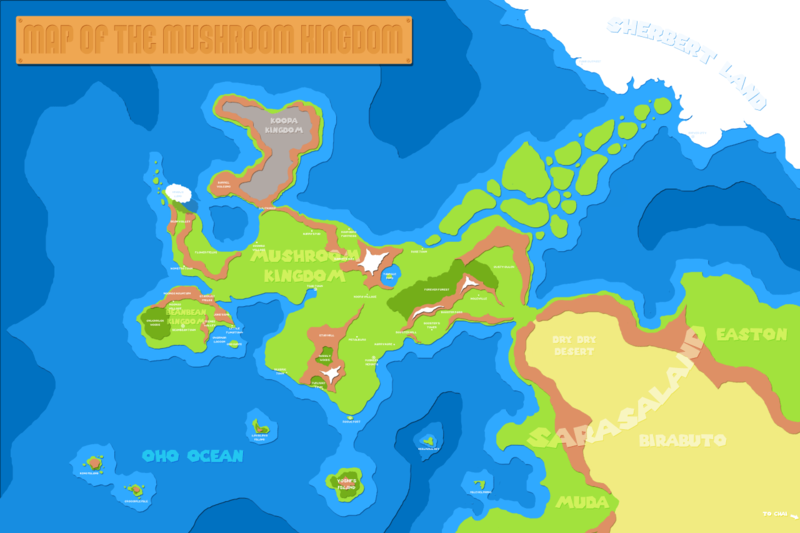 And Vibe Island from Super Princess Peach is apparently pretty far from the Mushroom Kingdom. This entry was posted in Dragon Quest, Maps, Mario, Video Games and tagged dragon quest ii, koopalings, mushroom kingdom, mushroom world, new super mario bros. u, paper mario, sprixie kingdom, super mario 3d world, super mario 64, super mario bros., super mario bros. 3, super mario rpg, super mario world, super princess peach, vibe island. Bookmark the permalink.